Landscaping is an art of planning the drives, walks, lawns, shrubs, gardens, flower-beds etc. so as to form a beautiful setting for a building. The main purpose of landscaping is to create a joyful environment round the building and give the occupants a healthy breath, good appearance and natural beauty. Landscape Architecture can also be defined as the composition of masses and spaces. There are various Elements of Landscape that help beautify and organize the environment. 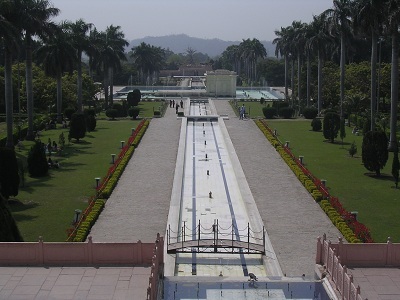 These Landscape elements were derived from the “Modern Garden Architecture“. The Path defines the passage in the landscape created. It could be paved or unpaved. Paving materials are used to eliminate hazards from mud and dust and to form a smooth surface for ease of circulation. Various design patterns in the pathways help beautify the surroundings and look pleasing to the eye. The paving material could be natural or man-made. 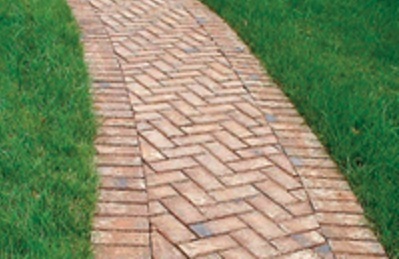 Man-made paving materials are available in a wide variety of textures and colours. Some of the materials used are explained in the following. 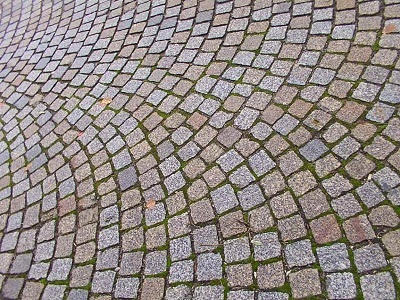 Stone, one of the oldest paving materials, offers good, durable, wearing surface with a minimum maintenance required. Rubble and ashlar masonry are the two forms of stone used for paving. Rubble masonry is rough stone, as it comes from the quarry, but may be trimmed somewhat where necessary. Ashlar masonry is hewed or cut stone from the quarry and is used much more often than rubble for the surfacing of the walls. Bricks are the oldest artificial building material in use today. They offer a great variety of textures and colours as well as flexibility in use. Composed of hard, burnt clay and shale, brick is available in many colours due to the variation in the chemical content of clay. Bricks can be used to make tiles with varied shapes. Because of the hard surface and resistance to wear and cracking, these tiles are best suited for outdoor paving. These could be laid on stone bases or on concrete slabs. The most common patterns are running bond, herringbone and basket weave. Concrete maybe poured in situ, offers a variety in texture and colour and forms a durable walking surface. It is extensively used as a paving material. Concrete lends itself to variations in finish, and maybe smooth or rough, with aggregates exposed when desired. 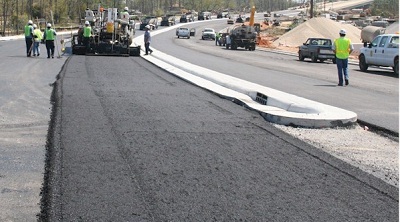 Asphalt does not offer the variety of textures that concrete does, although it provides a softer walking surface. Asphalt is not as durable as concrete; it is less expensive and is used extensively for walkways on college campuses, in large parks and recreational areas, and in the construction of roads. I would favor using stone as paving material more, simply for the rustic and natural feel it gives.